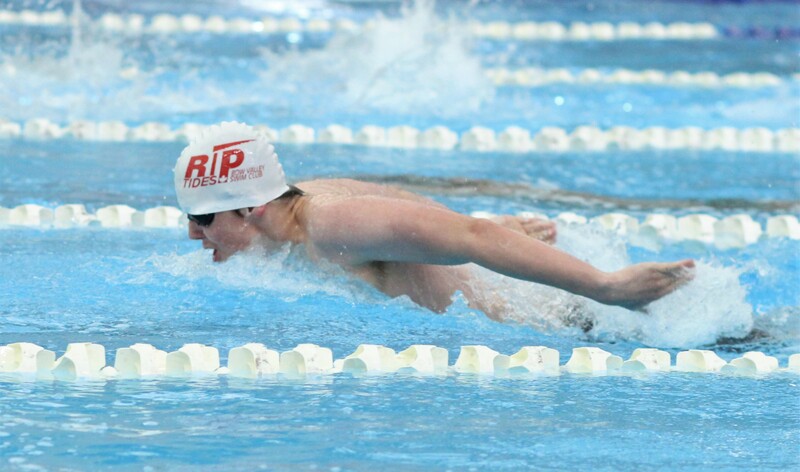 Riptides swimmers smashed 20 club records at Alberta Spring Championships in Edmonton this weekend, while David and Joanna qualified for the Western Canadian Championships. The highest finishes were: Carter 5th in 50 back; Jaime 6th in 200 IM; and Kai 8th in 200 breast and 10th in 200 fly. Joanna – club records in 100-200-400-800 free; Western Championships standards in 100-200-400 free and her first Canadian Junior Championships standard in 100 free. Jaime, Natalie, Kiana and Joanna combined for a new open 400 free relay club record breaking the previous record set in 2015 by Emiko, Kiana, Cassidy and Marin. 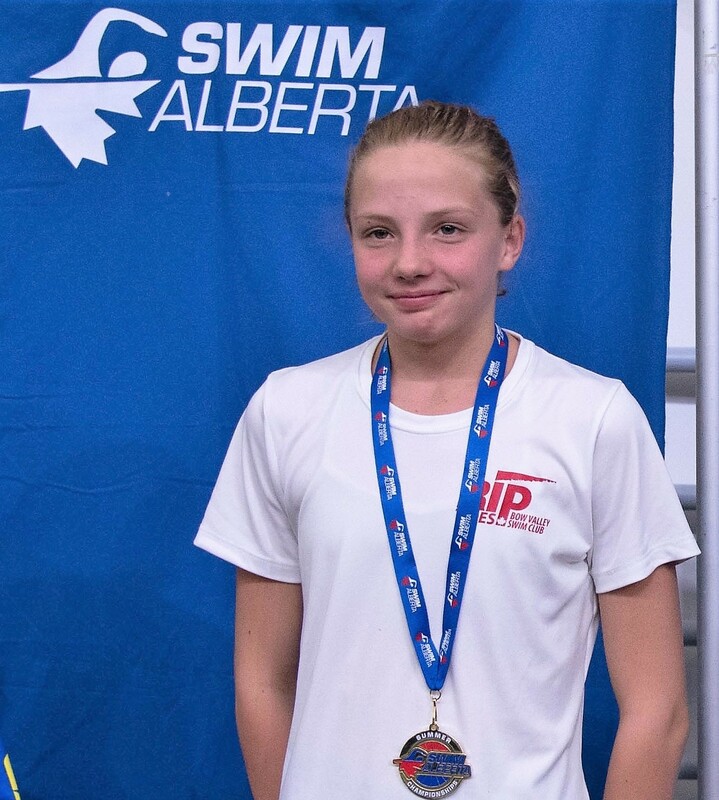 Kai qualified for the Alberta Championships for the first time and smashed two long standing breaststroke club records at Pugsley’s Plunge in Calgary. 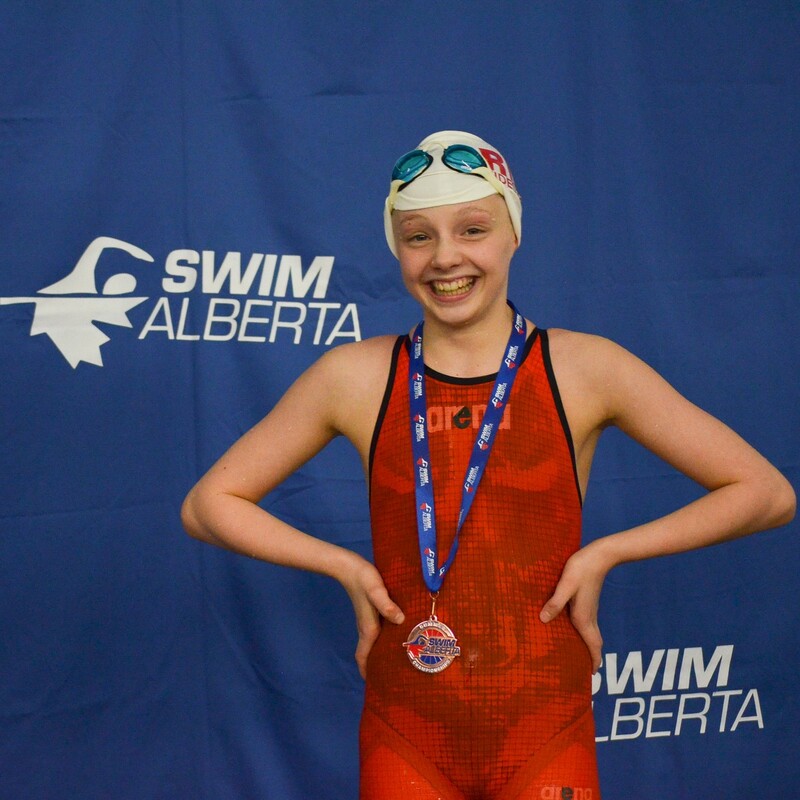 Natalie achieved her first Alberta Champs standard in the 50 breast finishing third. She was 3rd in 50 free and dropped 18 seconds to finish 4th in 200 free. In the 100 breast, Kai finished first and took 5 seconds off Ken Naito’s 2006 club record. 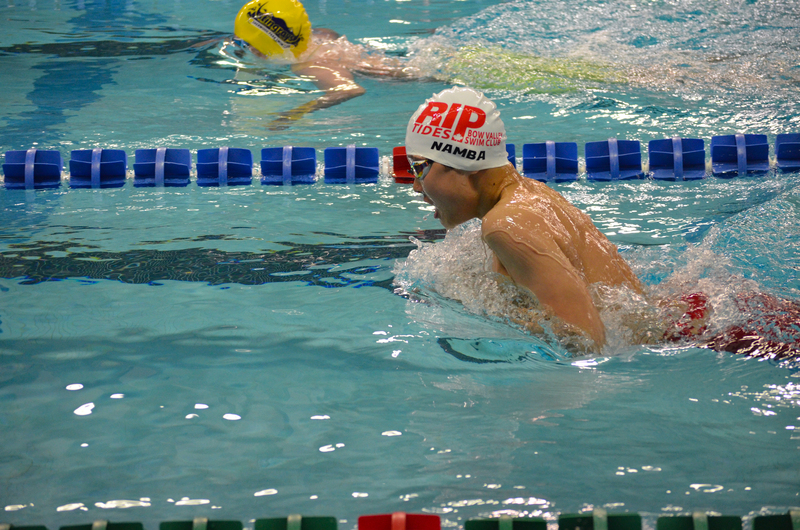 In the 50 breast, he was second, eclipsing the record set by Jason Evans at Pugsley’s Plunge in 2007. He was also 2nd in 50 fly and 3rd in 100 fly. Joanna led the Riptides with 5 medals and 3 new club records at the Alberta Summer Championships in Calgary. The club finished second among small teams. Joanna – gold in 400 and 800 free, bronze in 100 back, 100 free and 200 free. Joanna won two bronze medals at Alberta Spring Championships and Kiana advanced to the Western Canadian Championships by achieving four Western standards. Jaime – Finished 5th in 50 breast and broke club records in 50, 100 and 200 breast. Kiana – new club records in 100 back and 100 and 200 free. Kiana will represent the Riptides at the Western Canadian Championships in April in Victoria, BC. Jeremy, Joanna and Kiana led the Riptides at Alberta South Provincials with double medal performances and Ian, Kahlen, Kai and Kiana broke six club records. Natalie – PBs in all 8 events! Ella – her first Provincials and PBs in every race! Sam qualified for Westerns in 100 and 200 fly. 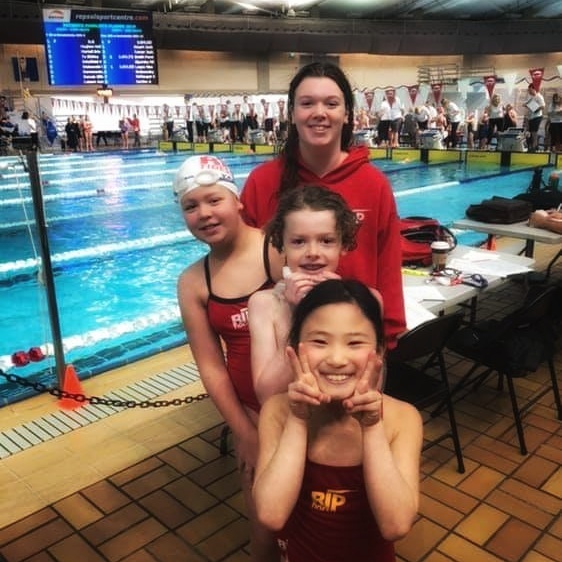 Sam, Neo, Kiana, and Joanna had a strong showing at the first Alberta Spring Championships under the new long course format. Sam led the Riptides with 4th in 100 fly, 5th in 200 fly and 7th in 50 fly. He set new club records in all three events. 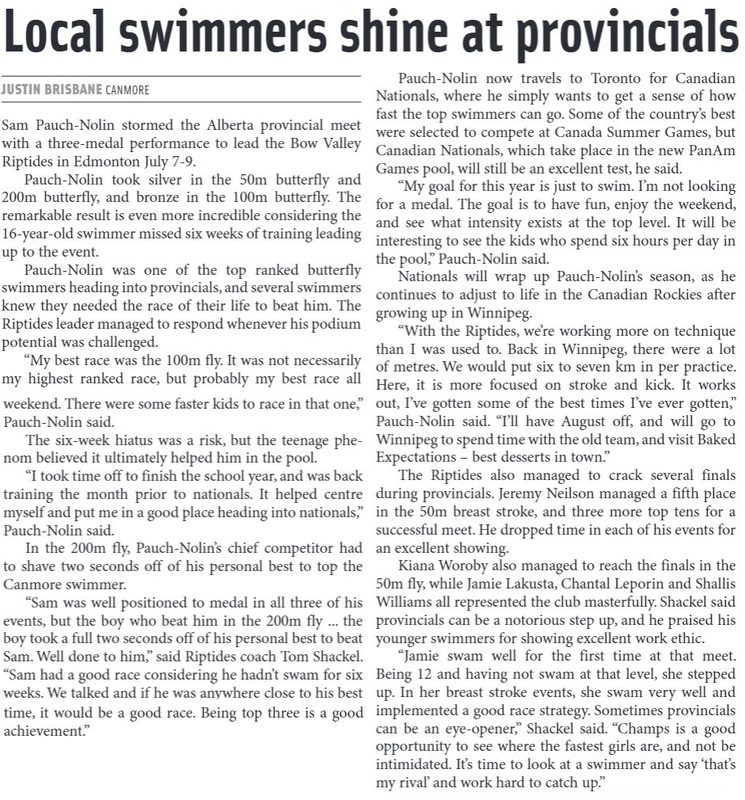 His times in the 100 and 200 fly qualified him for the Western Canadian Championships, which will be in Calgary in April. Kiana swam PBs in all 6 events and was 8th in 50 fly and 50 free, and 10th in 100 back. Joanna swam PBs in all 3 of her events. 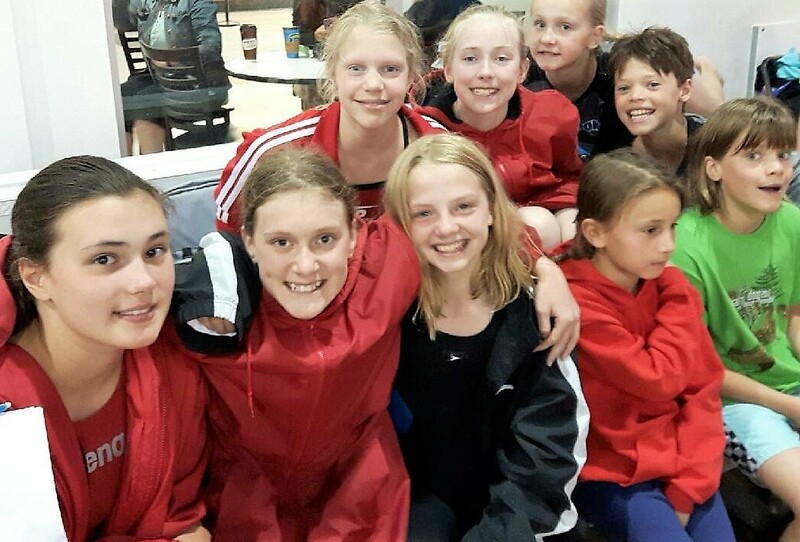 On the following weekend, the Chinook Invitational was the first full long course meet of the season for most of our swimmers. Jaime qualified for Alberta Summer Championships by dropping 15 seconds in 200 breast and finishing 4th. She also won bronze in the 200 fly in her first time swimming the event. Natalie qualified for Alberta Southern Provincials LC by reaching the standard in 50 breast. She also won gold in that event and silver in 100 breast. Avery – silver and a new club record in the 200 fly. Sam – 2 gold, 2 silver and a massive 98 second drop in 200 breast! Chantal – 2 gold, 1 silver, 1 bronze and PBs in all 7 events.